Prominent & Leading Manufacturer from Noida, we offer sanitary milk pasteurizing machine, batch pasteurizer, butter melting vat, milk plant, milk silo and dairy milk pasteurization plant. Under the meticulous supervision of our highly professionals, we are providing high quality range of Sanitary Milk Pasteurizing Machine. We are engaged in offering our clients a high quality range of Batch Pasteurizer that is used pasteurize the milk to required temp. 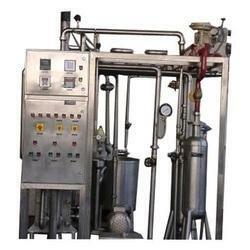 The offered pasteurizer is manufactured as per the set industry norms using quality approved raw materials and sophisticated technology. Keeping in mind the diverse requirements of our clients, we provide the entire range of device in various configuration and technical specifications. In order to ensure the quality of this pasteurizer, our skilled professionals perform a series of test against various parameters. Capacities starting from: 200 LPH To 2000 LPH. Temperature control for hot water and melted butter. Uniform heating to avoid burning of product. Hot water coil structure for easy cleaning. Timber based butter dosing operation helps to dose measured quantity. 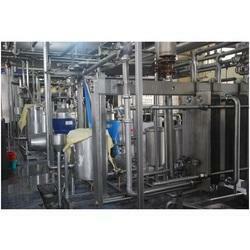 Owing to our vast experience in the concerned industry, we are offering a comprehensive array of Milk Plant. This is followed by heat treatment which partly destroys the microbes present in the milk. The heat treated milk is then fed to an evaporator, where it is concentrated up to 26% (8% Fat and 18% SNF). The milk is then homogenized (homogenizer) before being cooled. Checks are carried out on the coagulation stability of the milk before it is packaged in the sterilized cans. The entire range is designed using high grade components and the latest technology. We offer this plant in different models and other related specifications, designed to suit ever-evolving needs of our prestigious clients. Moreover, our offered range is rigorously tested by our experts on well-defined parameters, in order to deliver a flawless range at our client's end. Understanding the requirements and necessities of various industrial purpose, our company is also engaged in manufacturing and supplying an excellent quality of Milk Silo in the market. 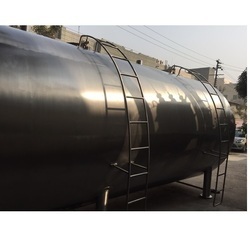 With the help of advanced machinery and latest technology, our experts manufacture these silos using utmost stainless steel that is sourced from the well known vendor base. 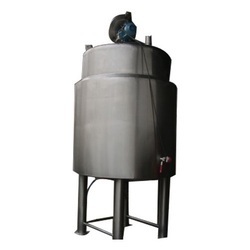 Used in large dairy plants for storing milk at low temperature, this Milk Silo can be availed from us in various sizes and storage capacities. 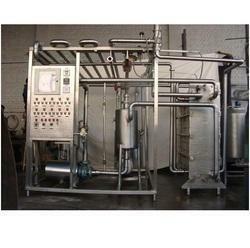 We are engaged in providing a wide range of Dairy Milk Pasteurization Machine to our clients. Dairy Equipment offered here comes designed and developed using latest technology and support. Faster milk cooling from +32ºC to +4ºC as demanded by the customers. Offering space saving and easy to clean operation support. These dairy equipment choices also come with support of adjustable legs for giving slope for milk draining. Paddle type agitator for foamless agitation even for small milk quantities. Stainless steel frame for condensing unit for long service life. Applications:Effective production of several types of market milk products like whole milk, skimmed milk and standardized milk containing different fat contents. 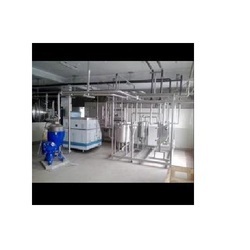 Customised FeaturesThese milk processing plants can be provided with different procedure methods like pasteurization or HTST pasteurizer or UHT processing. Auto Control Valve: In order to forward/divert the milk in case the temp, reaches the set point. Auto Control Valve: Auto control valve to forward/divert the milk in case temp. reaches set point. 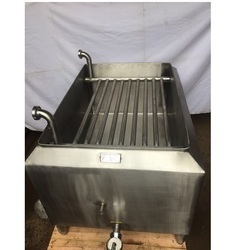 Keeping in mind the ever-evolving requirements of our esteemed clients, we are offering an exclusive range ofChaach Pasteurizer This pasteurizer is highly demanded among our patrons for its trouble free operation and high functionality. The offered pasteurizer is precisely manufactured using the advanced machines and sophisticated technology at our production unit. Prior to dispatch, this pasteurizer is strictly checked to avoid flaws. Applications: Pasteurize the dahi to required temp. Auto Control Valve: Auto Control Valve to forward/divert the milk in case the temp. Reaches the seat point. Being one of the leading organizations in the market, we are involved in providing an exclusive range of Road Milk Tanker. Keeping track with the market development, we are engaged in offering our clients with a wide collection of Horizontal Milk Storage Tank. 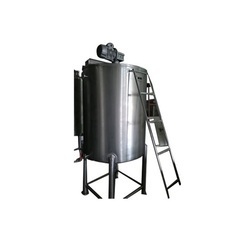 Used to store the milk at desired temperature for longer durations, the tank is provided with insulation in the outer jacket to prevent the temperature. The offered tank is manufactured using high grade components and contemporary technology. We assure our clients that our range is quality tested on predefined parameters, in order to meet industry standards. Apart from this our prestigious clients can avail the entire range, as per their needs, at highly competitive price. 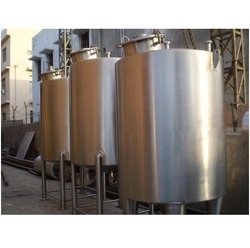 We are leading Exporter, Supplier and Manufacturer of a qualitative range of LIQUID MILK PROCESSING PLANTS. We are offering plants used for processing liquid milk which possesses several minerals such as calcium, potassium, sodium, phosphorus and magnesium with carbohydrates, lactose, protein and fat. 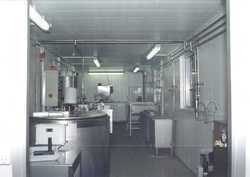 We offer Milk Processing plants to our clients on a turnkey basis. Our products are added with international quality values and on time delivery commitments. 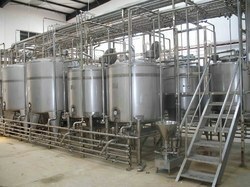 We are reliable manufacturer, exporter and supplier of the best quality array of Milk Dairy Plant. The offered plant is manufactured using the best grade components and innovative technology under the supervision of our dexterous professionals. 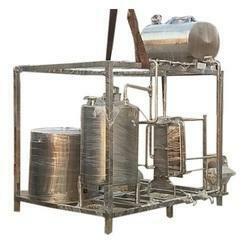 This plant is widely used for processing of milk in large amount and is mostly demanded by dairy clients. Stable structure finish among others. 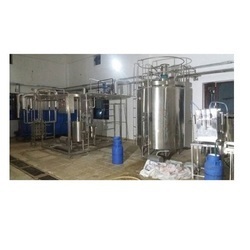 With the extensive knowledge and experience in this respective domain we are engaged in offering high quality Milk Pasteurizer that is used to pasteurize the milk to required temp. 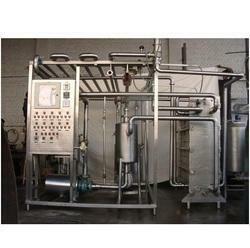 Our experts only use high grade components and the latest technology while manufacturing this pasteurizer. 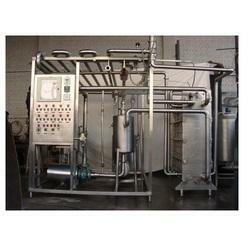 The offered pasteurizer is widely appreciated all over the nation for its salient features. With our quality range, we are able to maintain a strong foothold in this industry. Auto Control Valve:In order to forward/divert the milk in case the temp, reaches the set point.